Chicago bands, want the chance to win $1,000 and a chance to open a show at the House of Blues? 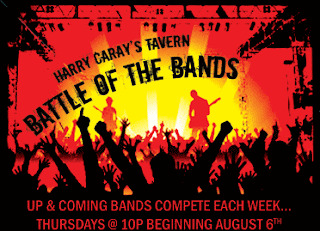 Then enter the Harry Caray's Tavern Battle of the Bands competition, which is now accepting submissions until July 24. To submit, send an audio sample and contact information (including a MySpace site link, if applicable) to bands@harrycarays.com. Five bands will be selected to play Harry Caray's, one every Thursday from August 6 to September 3, and at the end of each night guests will rate the performance on a scale of 1 to 4. The winning band will take home a grand, a second show at Harry Caray's on September 10 and the chance to open at House of Blues.